WEST MIDLANDS, England - Jan. 10, 2017 - PRLog -- Pug Mug Marketing got 2017 off to an exciting start by launching their first Amazon Echo skill. The skill named 'MarketingTips' is available within the Amazon store, under the business category. It helps give quick marketing tips to users looking for some inspiration. 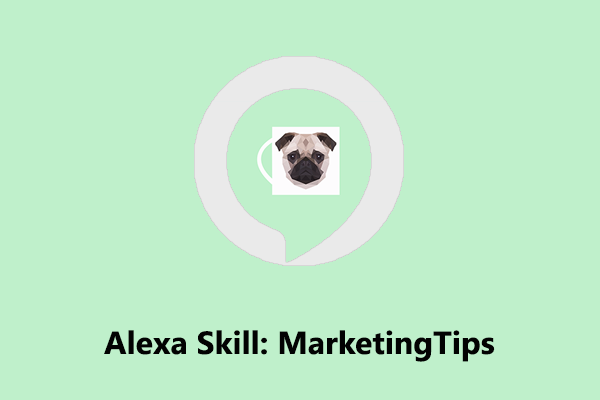 "We decided to create an Amazon skill to give users some quick marketing tips to inspire them for the day ahead," said Pug Mug Marketing's Managing Director Kevin Box. "The Skill also helps boost our visibility and helps showcase us as a forward thinking business." With many voice activated devices coming into the market place, the availability of useful apps is minimal. Therefore creatives such as Pug Mug Marketing are looking to add value to the future of these devices by creating skills or apps. Hopefully over the coming year we will see a rise in companies developing apps for voice related products. Helping to make voice devices such as the Amazon Echo and Google Voice fantastic additions to smart homes. Pug Mug Marketing are one of the first companies within the UK to produce a skill focusing on improving your marketing skills. "We were eager to get our skill out to the market place to establish it, we plan to make further improvements throughout the year," Box added. With a range of ideas in mind, it might not be the last skill they produce. Pug Mug Marketing (http://www.pugmugmarketing.com/) is an Internet marketing agency which offers a range of online services such as blogging, social media management, web design, CV design and Amazon Echo skill development.